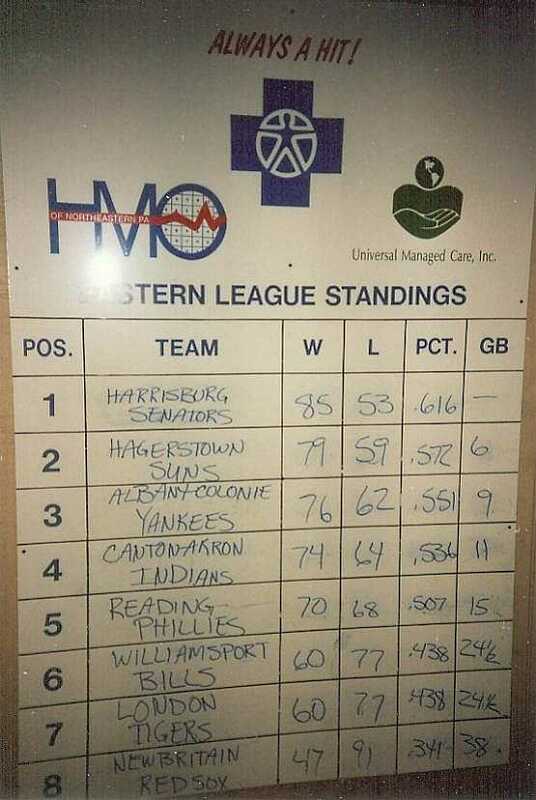 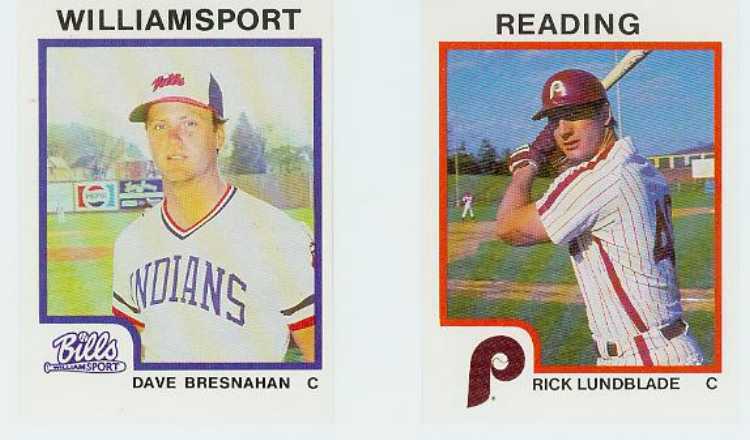 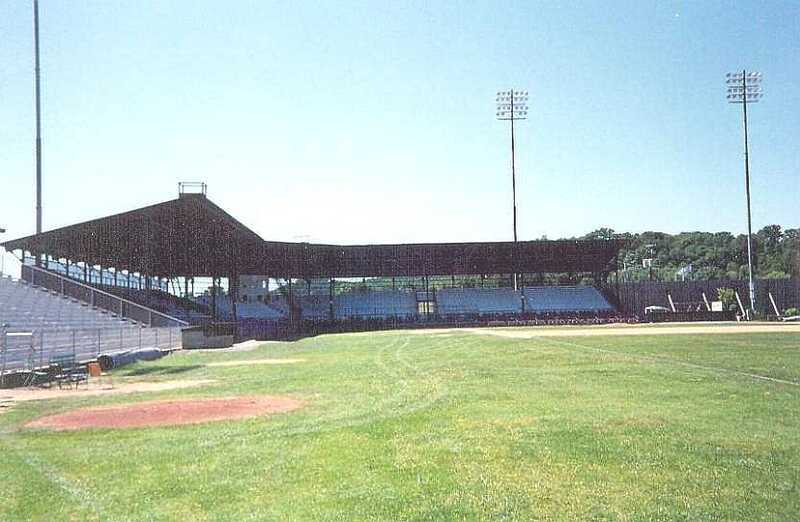 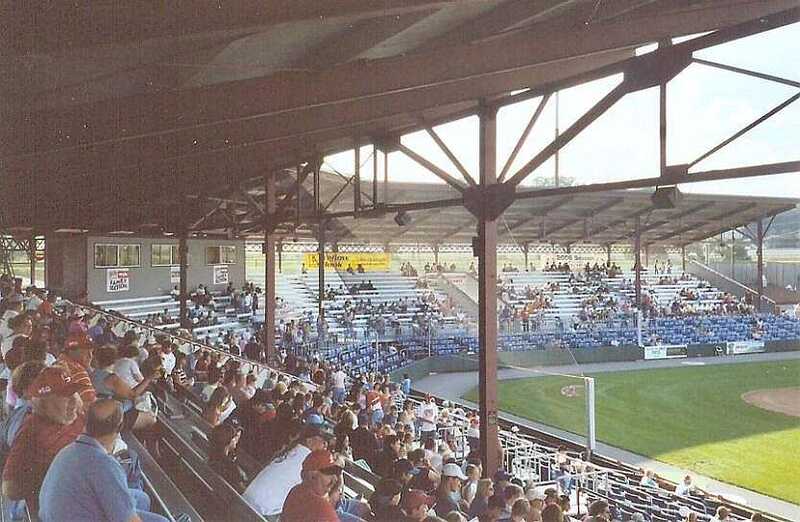 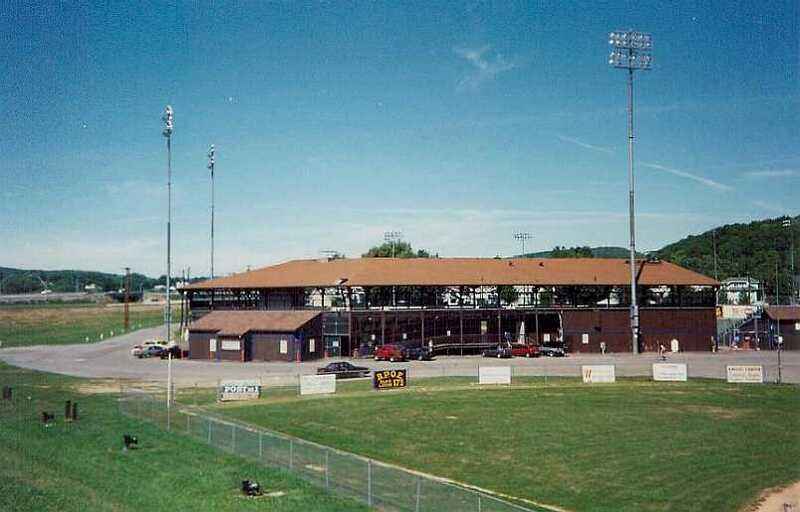 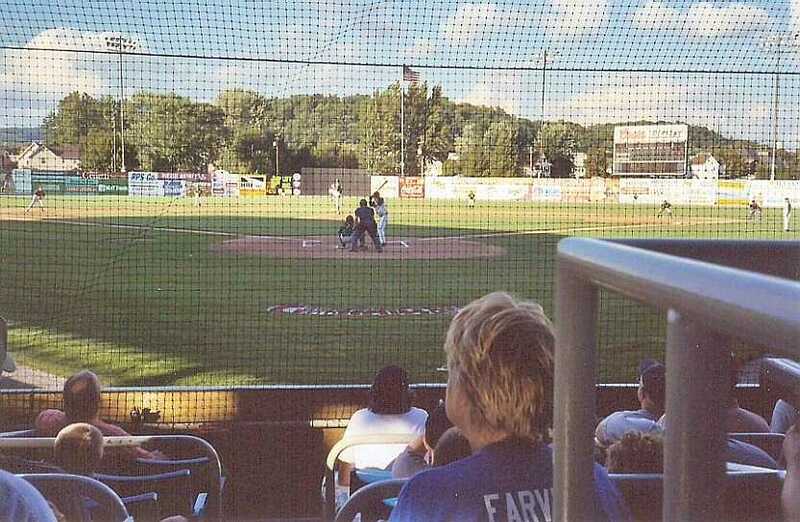 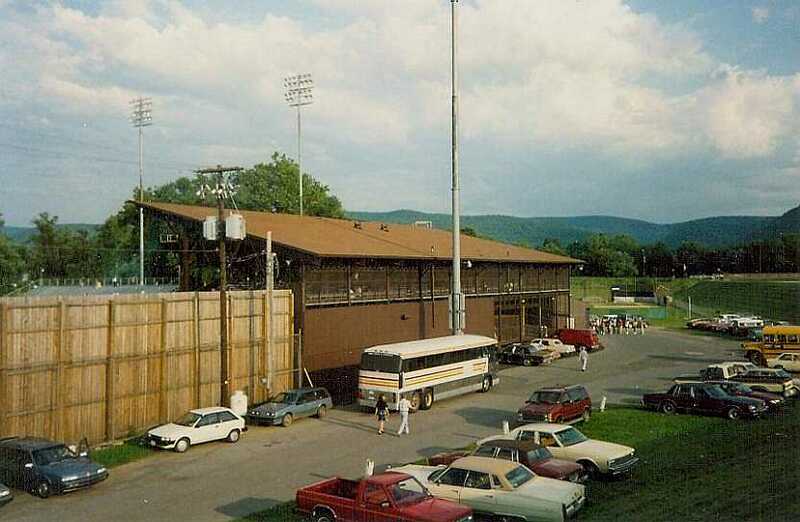 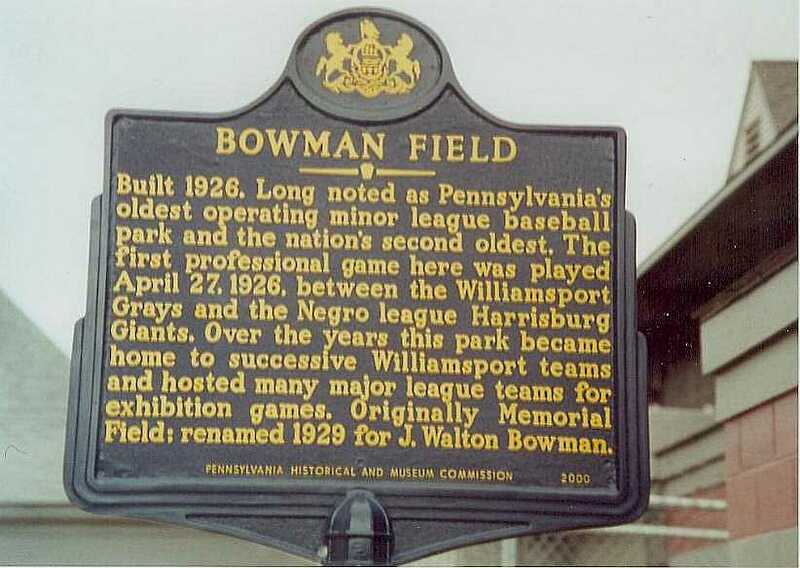 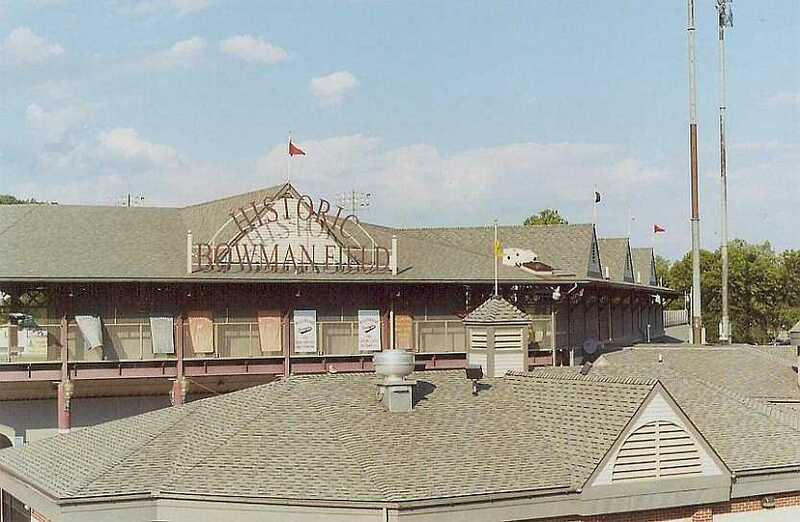 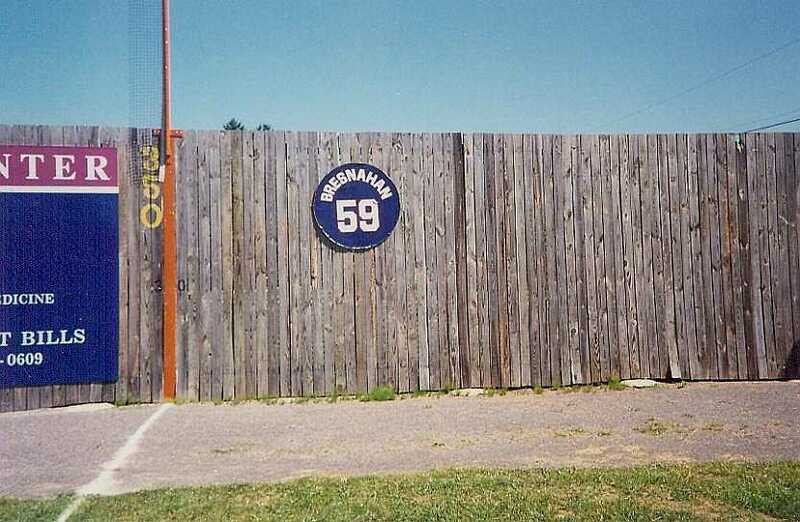 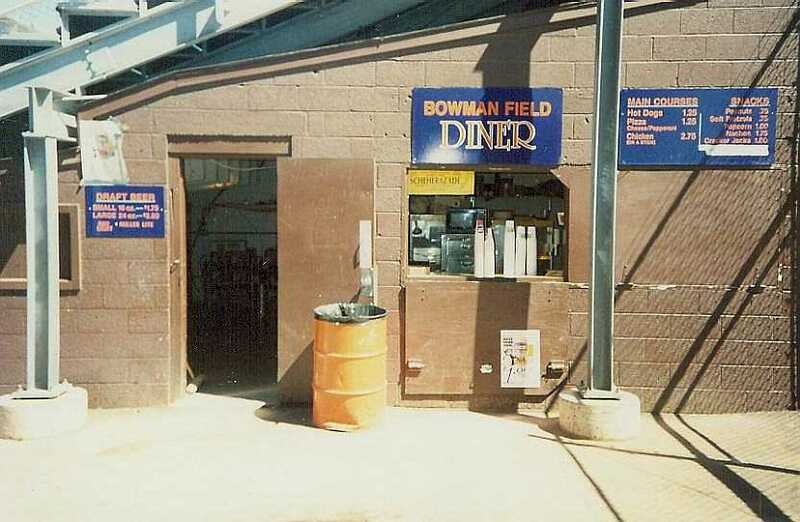 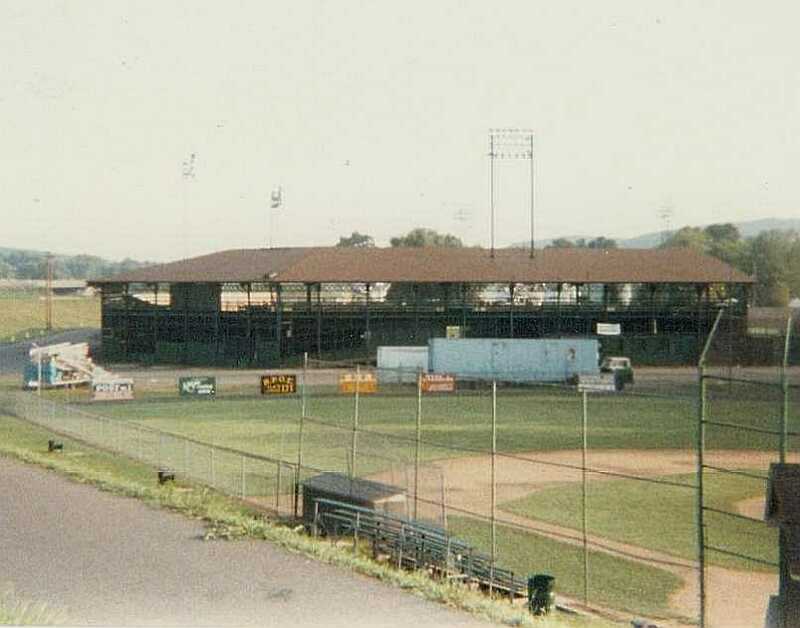 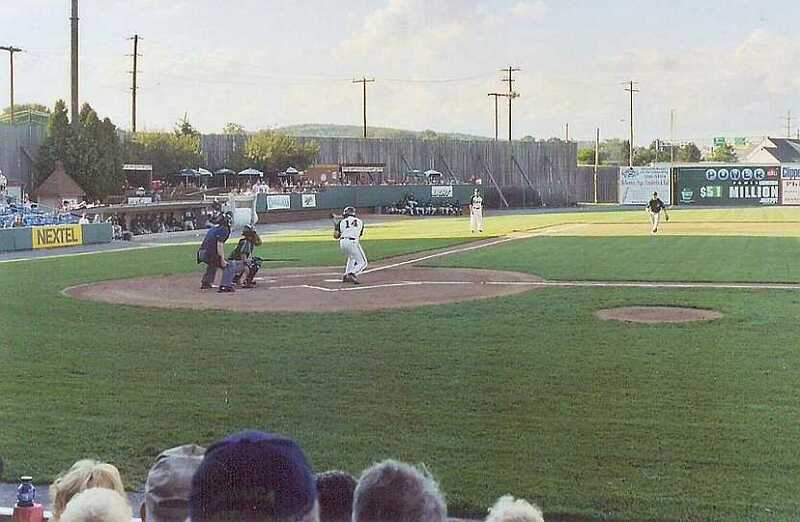 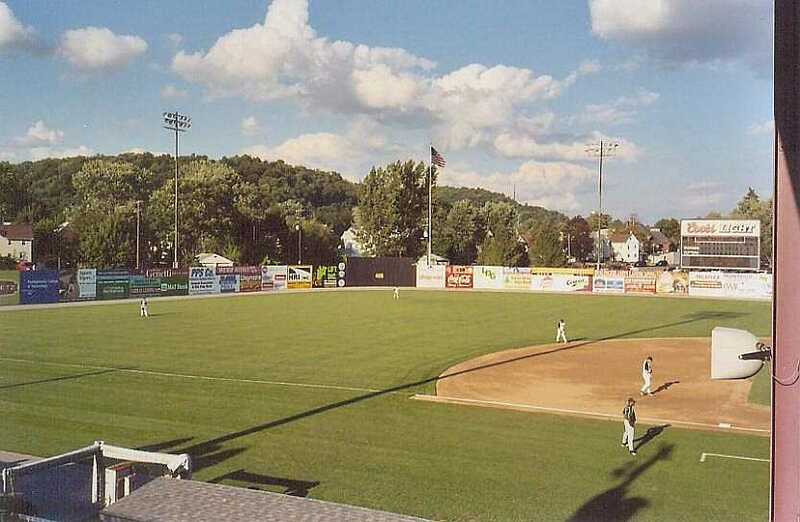 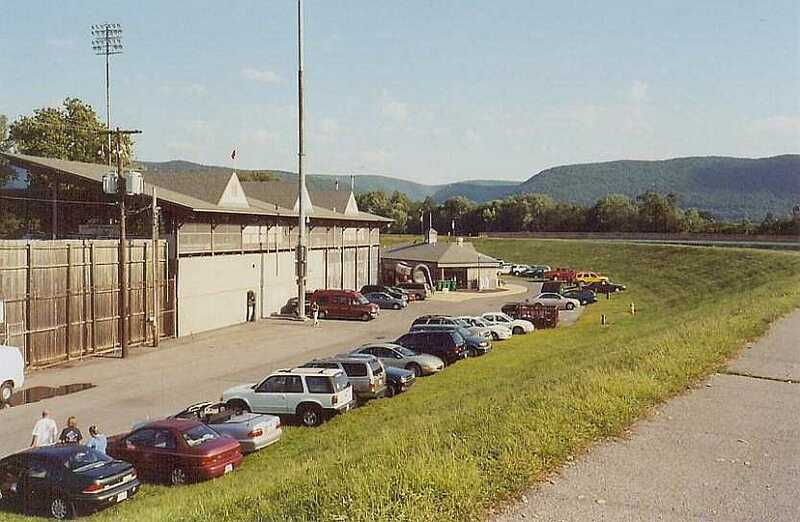 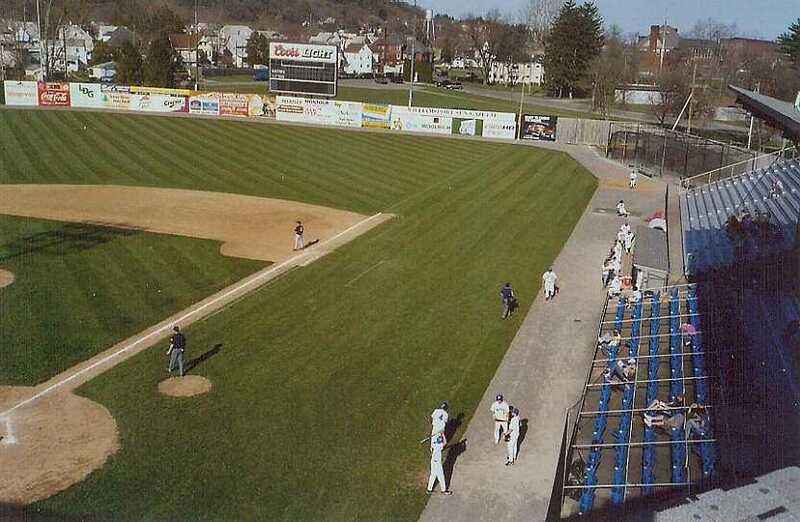 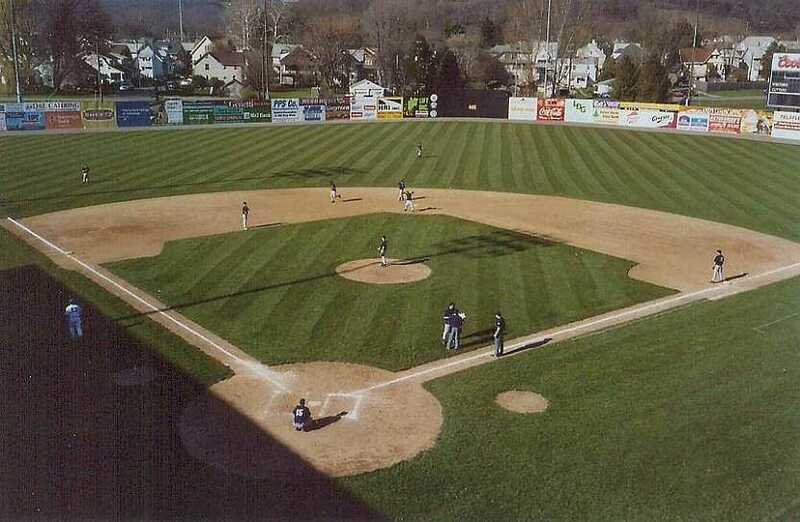 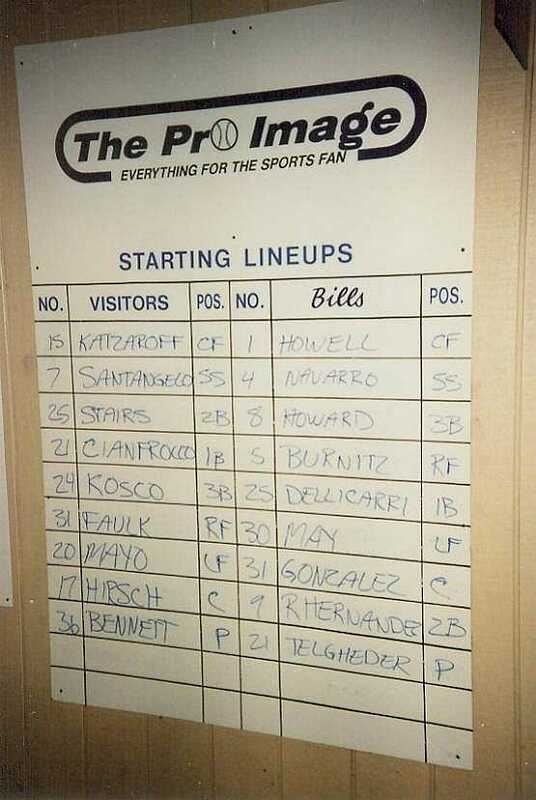 Bowman Field housed Williamsport teams in the Class B and A New York-Pennsylvania League and the Class A and AA Eastern League. 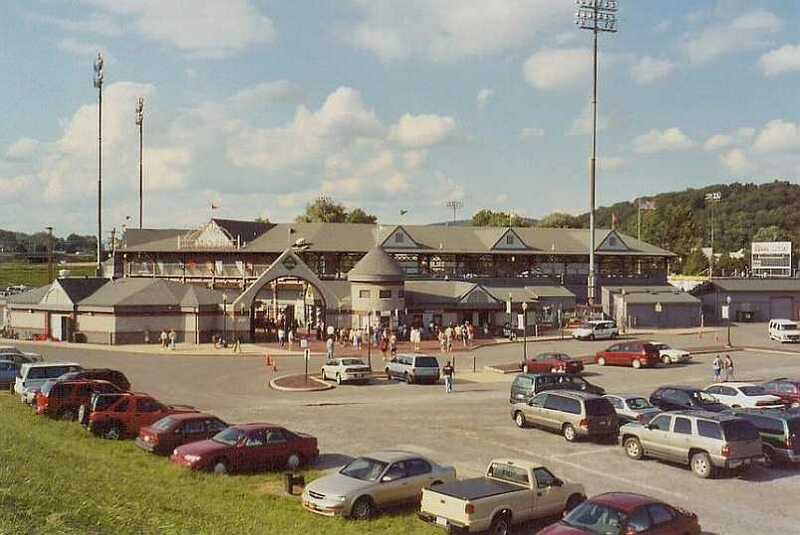 Currently the home of the Williamsport Crosscutters of the short season Class A New York-Penn League. 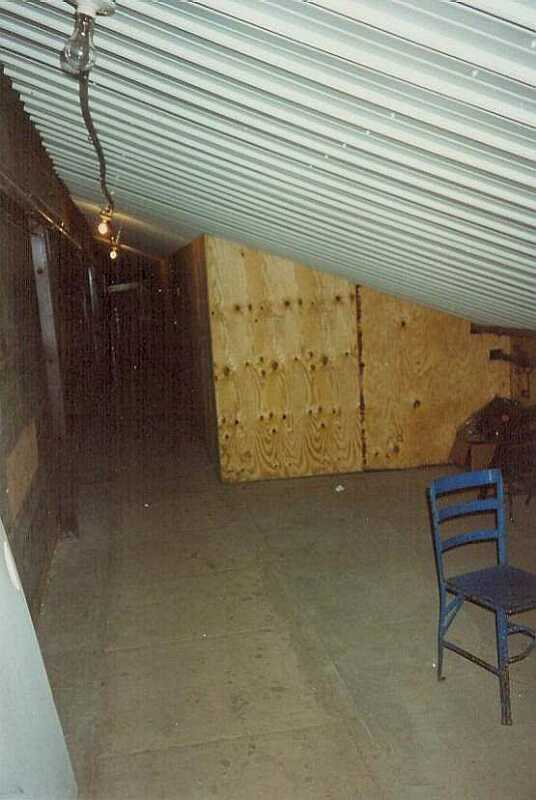 Photographs taken 1986, 1987, 1991, 2000, 2006 & 2007. 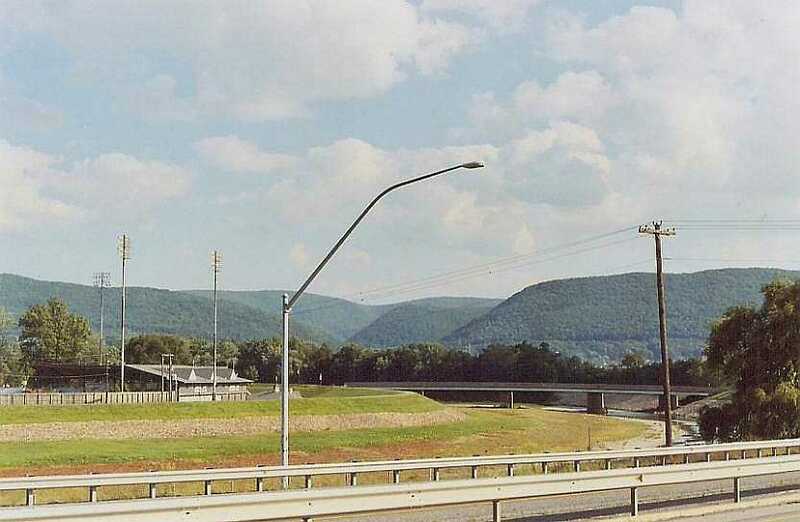 Flood control berm protects stadium (lower left) from Lycoming Creek. 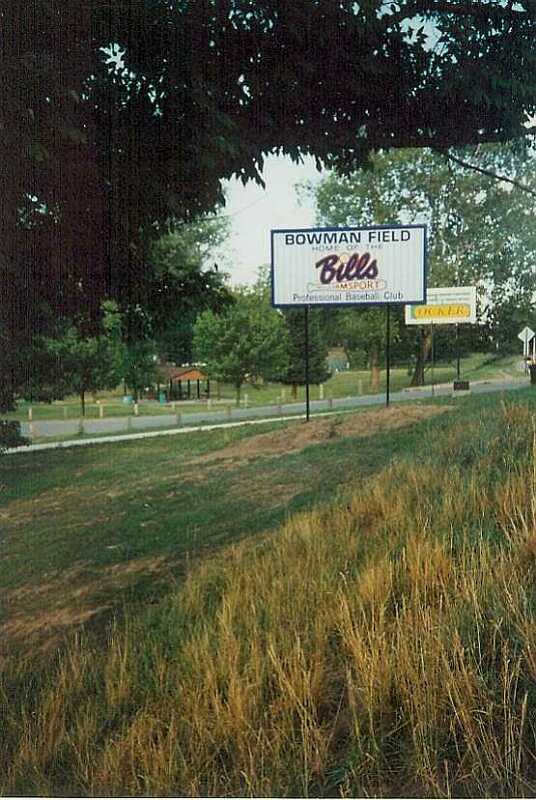 Stadium side of the flood control berm. 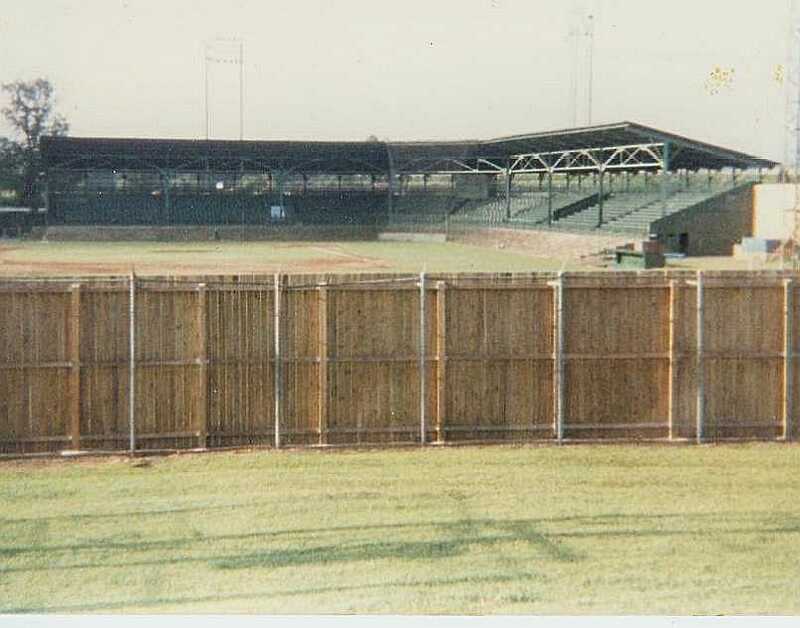 Stadium from beyond the left field fence. 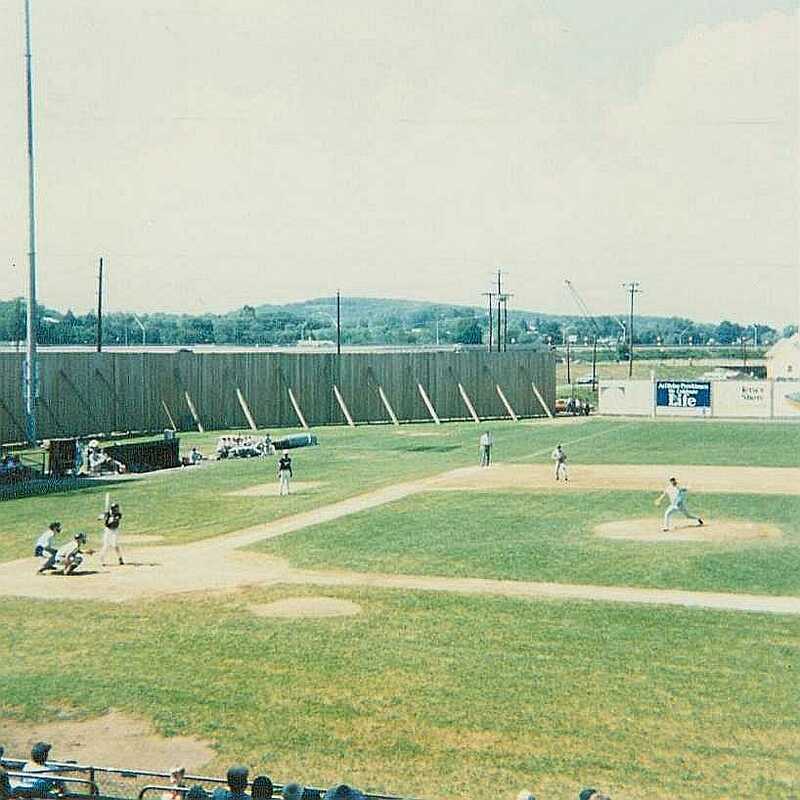 Note the light tower in the left field foul area. 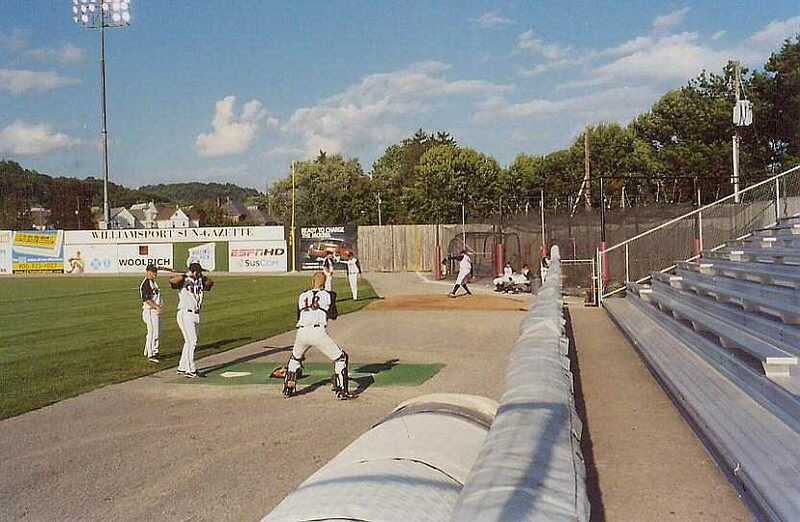 A ball hit into the stockade fence support area was ruled out of play. 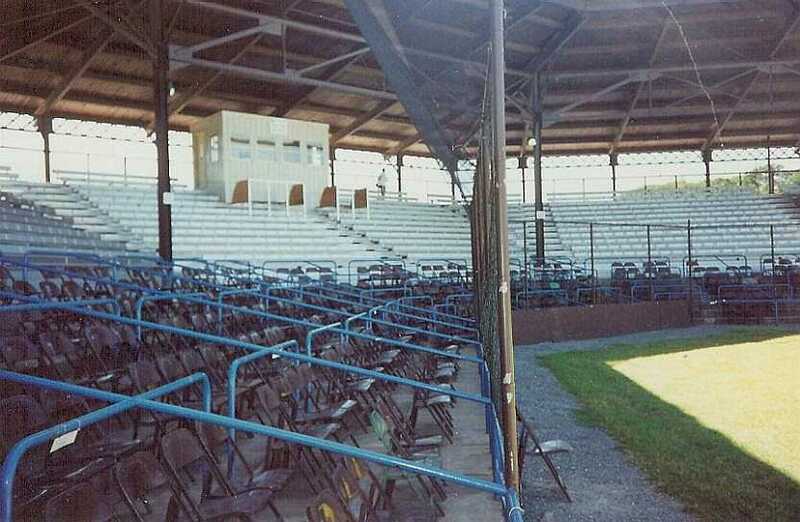 In 1987, the box seats were folding chairs. 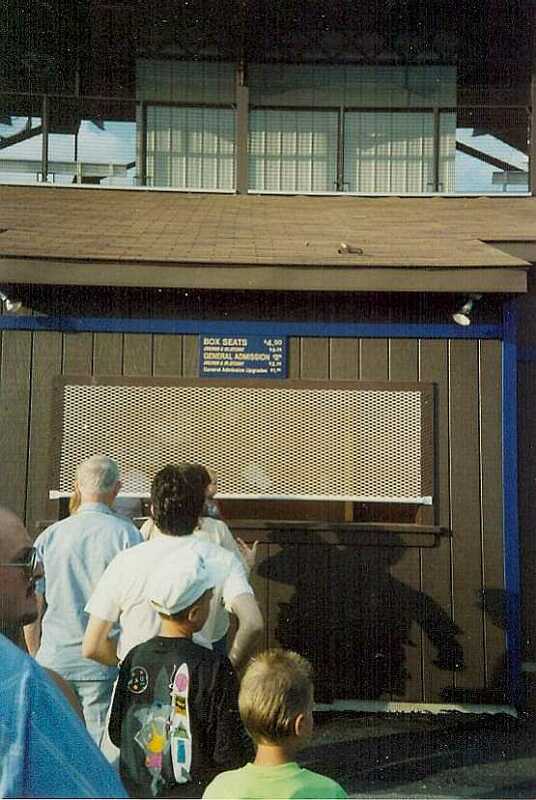 Note the small pressbox. 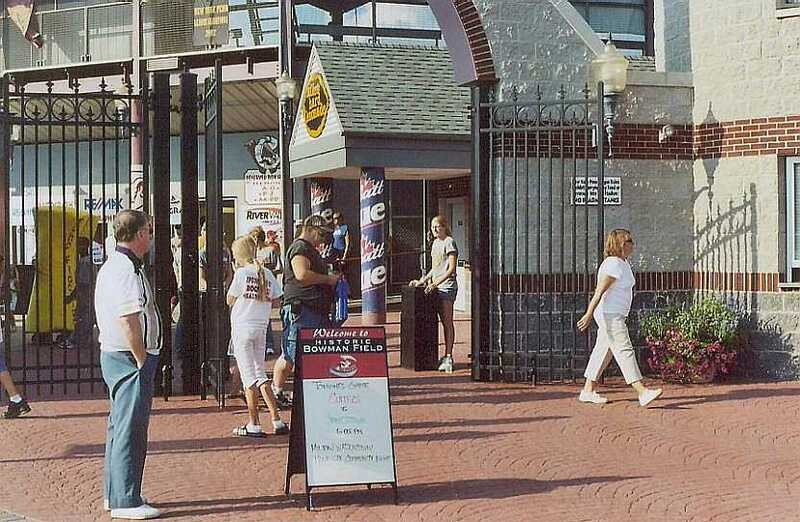 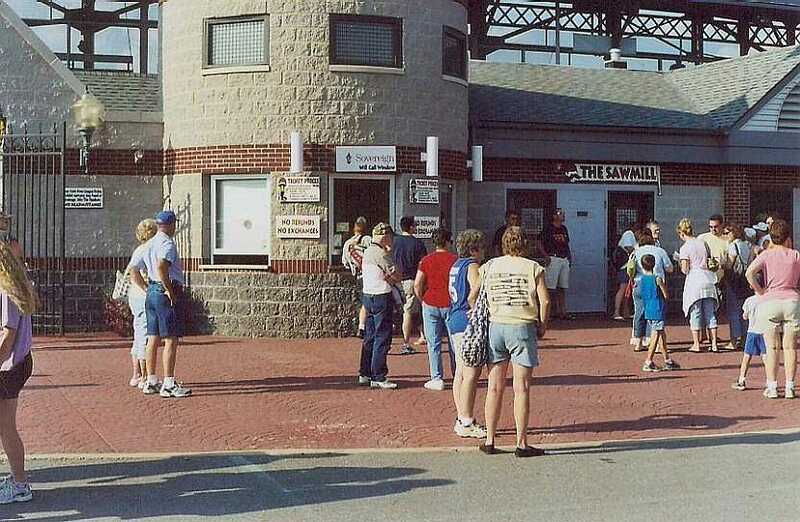 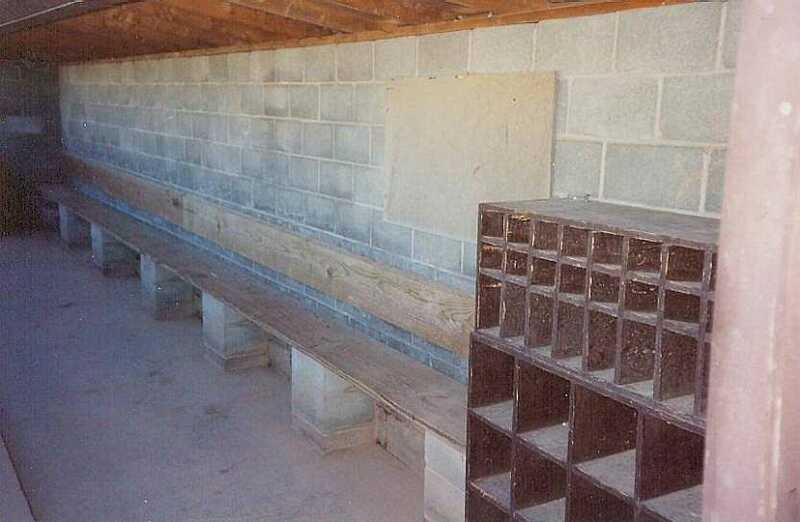 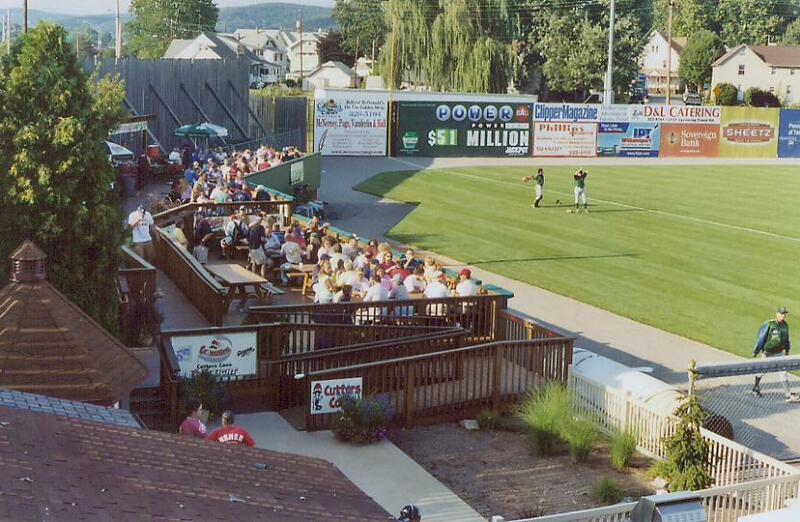 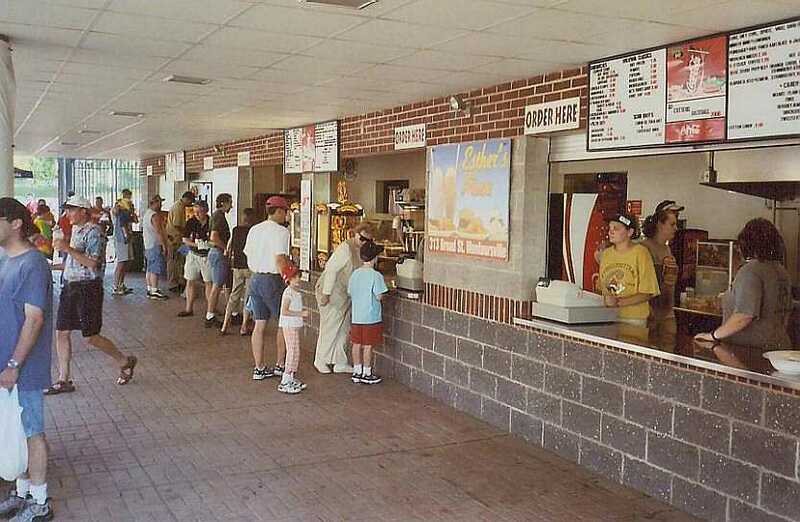 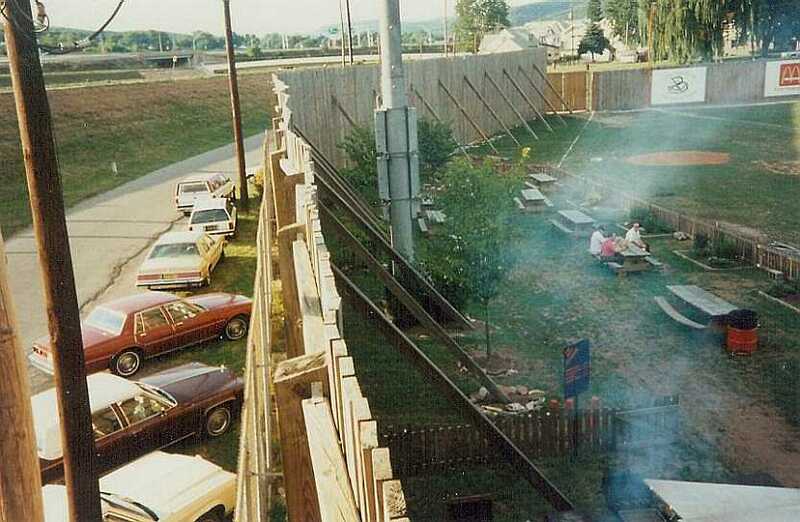 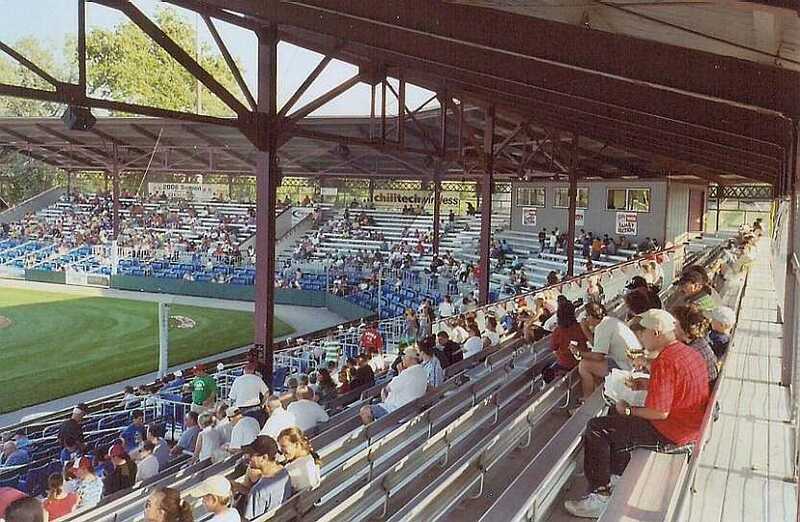 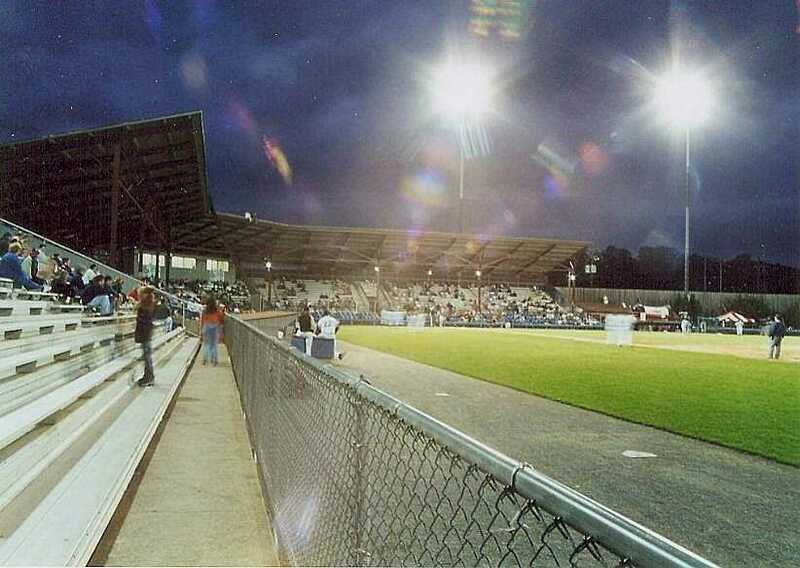 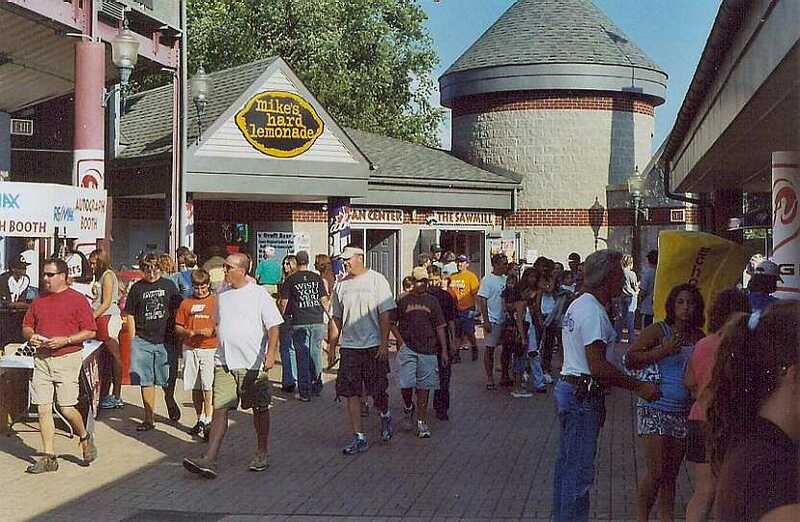 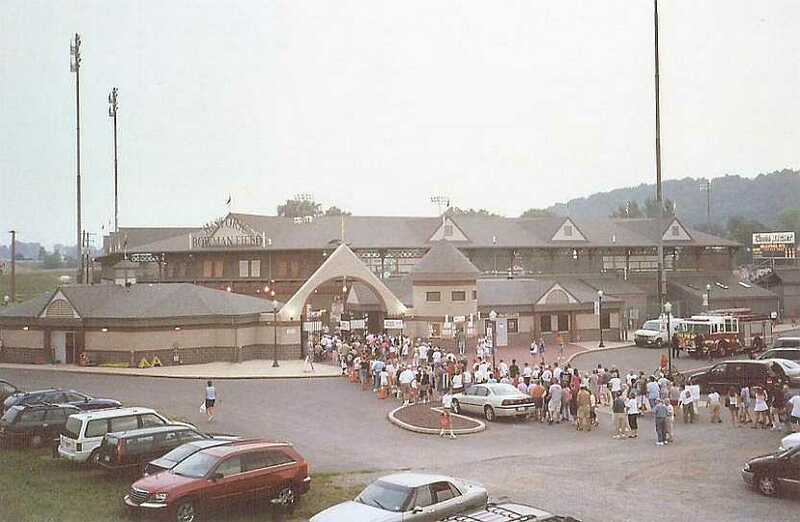 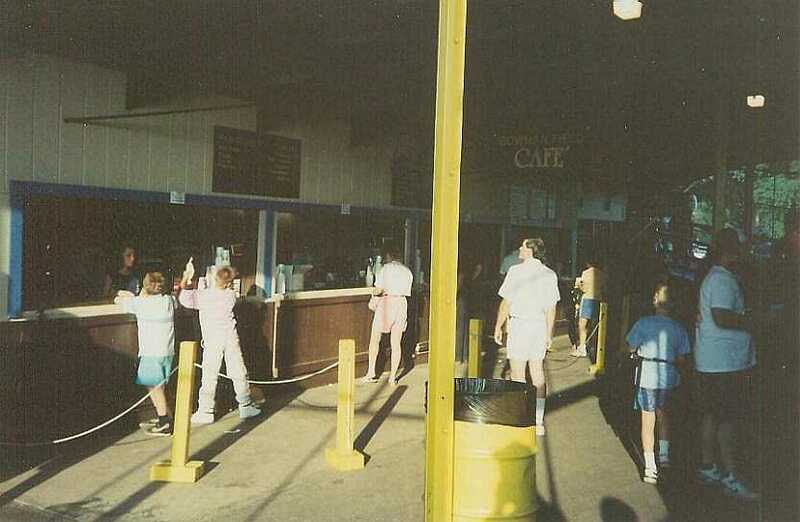 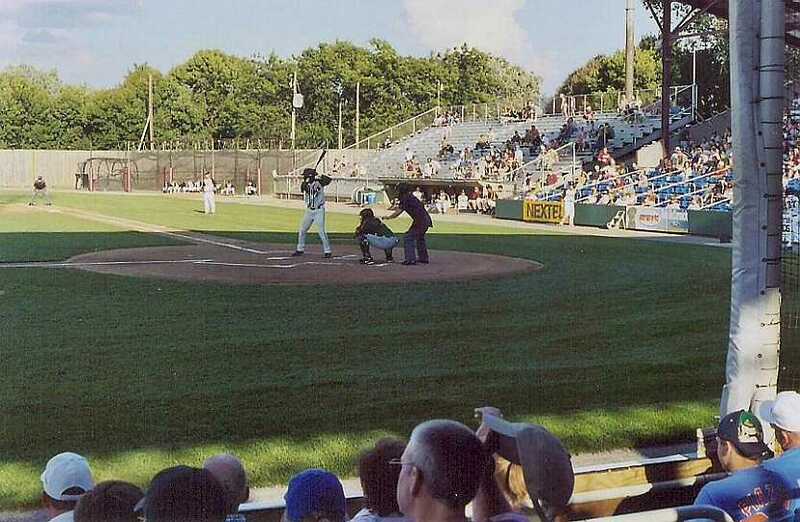 Left field picnic area in 1991. 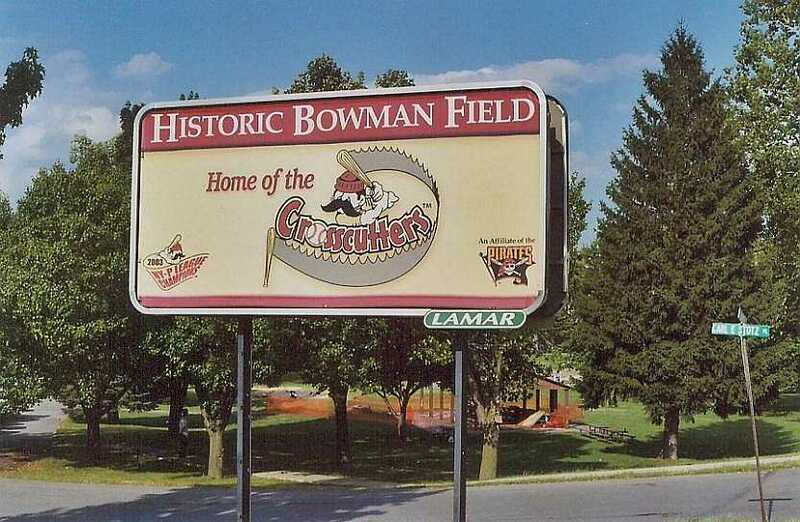 Commemorating the "Great Potato Caper". 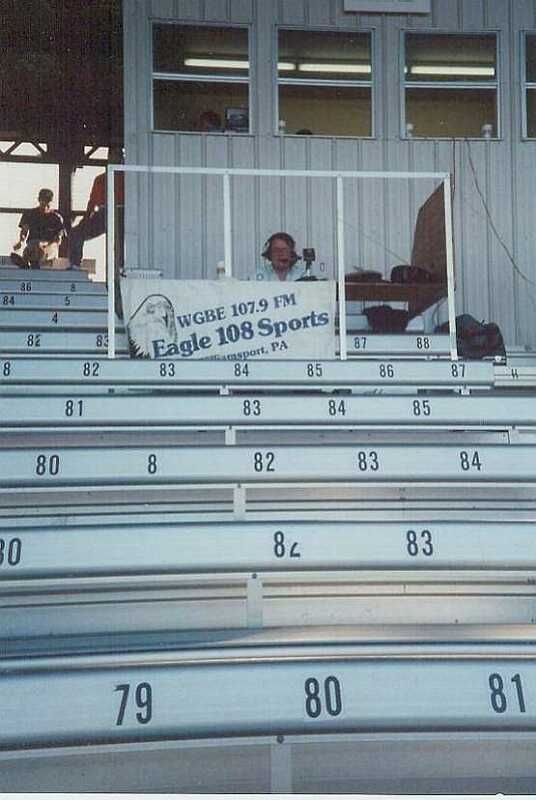 Radio play-by-play was done right in the stands. 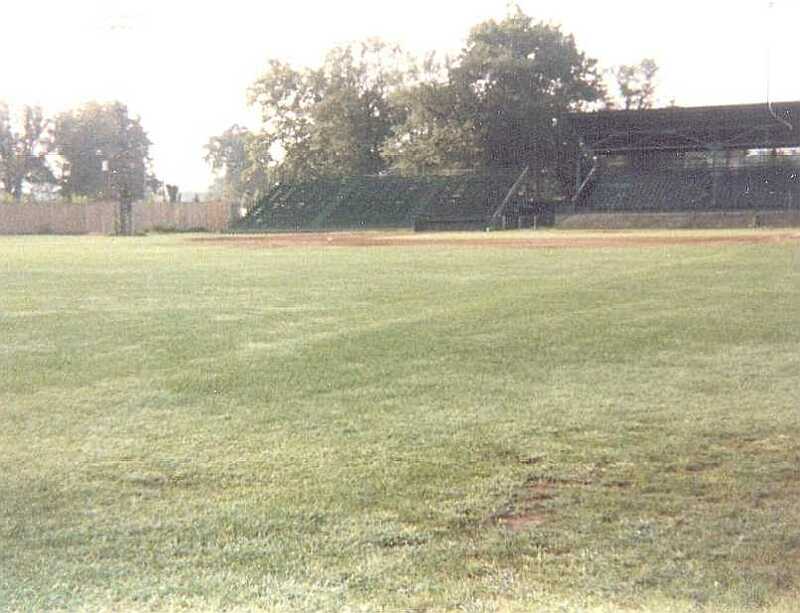 The grandstand from right field bullpen area. 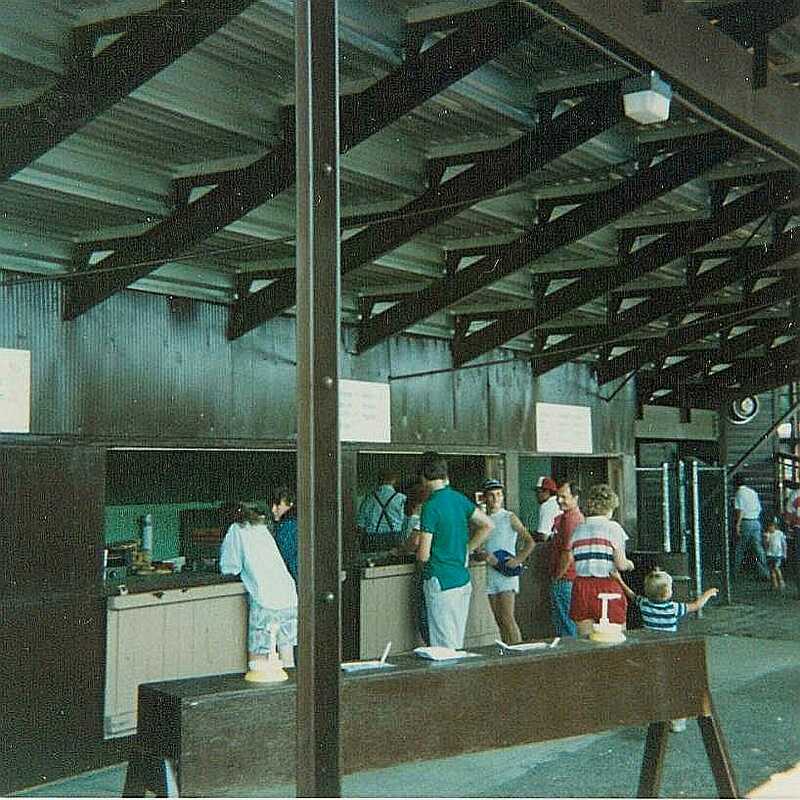 Storage area under the grandstand. 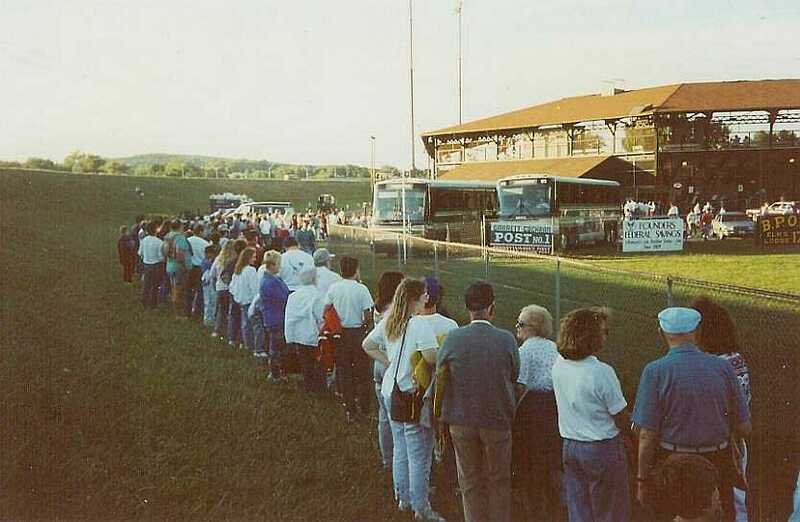 Visiting team bus next to the visitor's clubhouse. 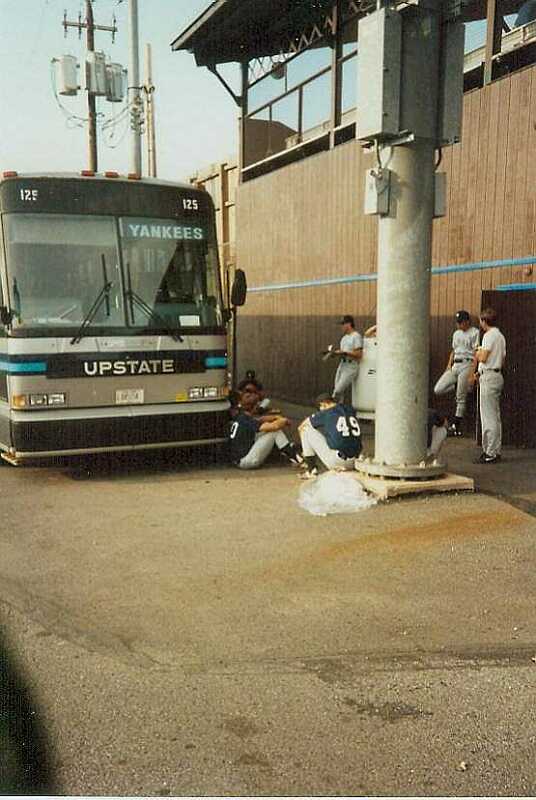 Albany-Colonie Yankees relaxing before a game. 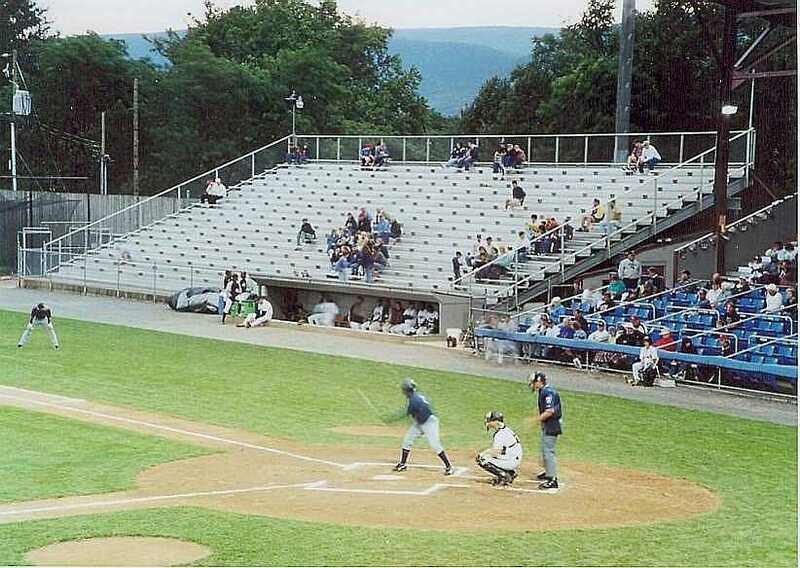 A nice turnout for this game. 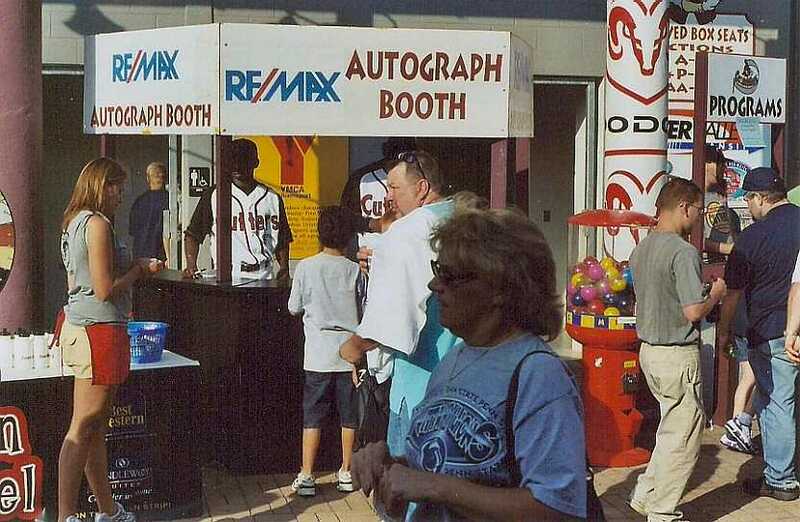 Players sign autographs before the game. 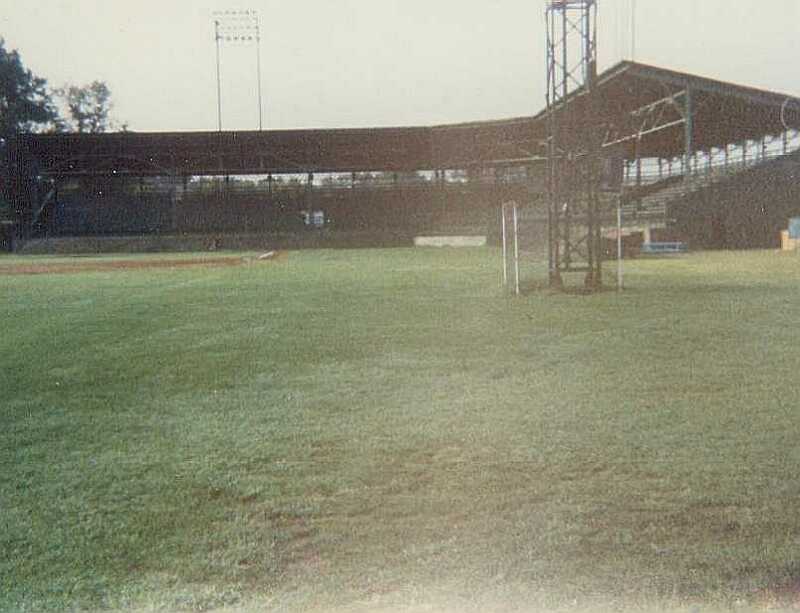 View toward the first base side of the grandstand. 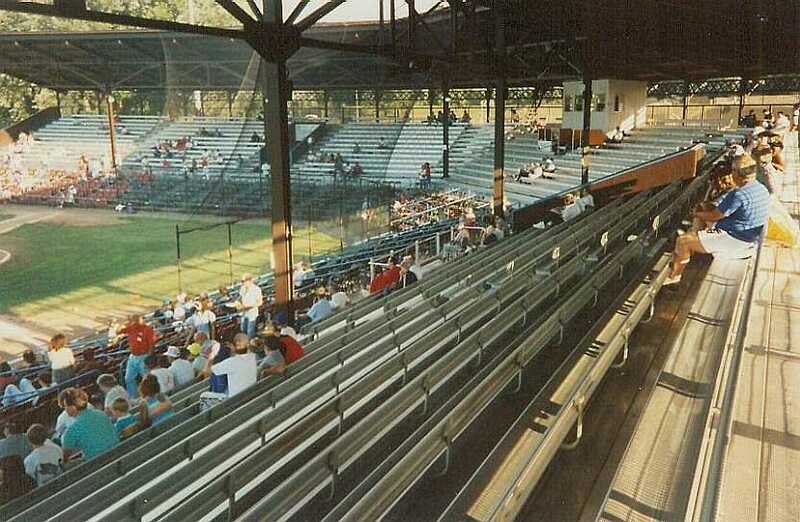 View toward the third base side of the grandstand. 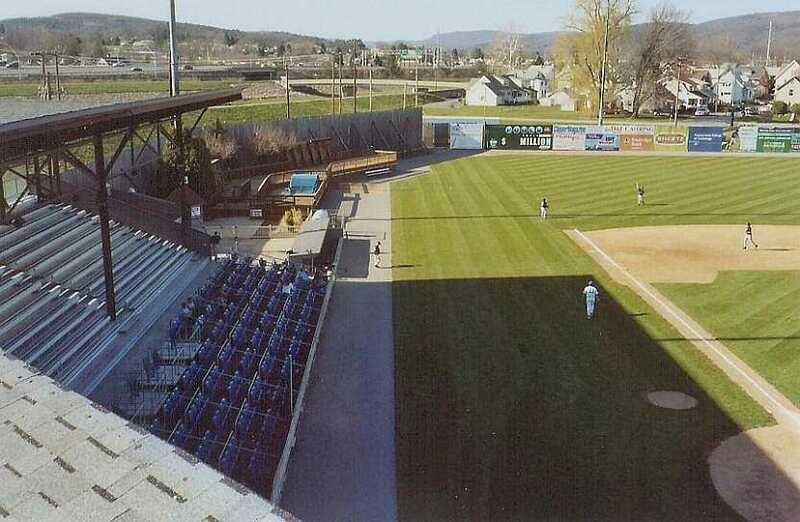 Picnic deck on the left field side. 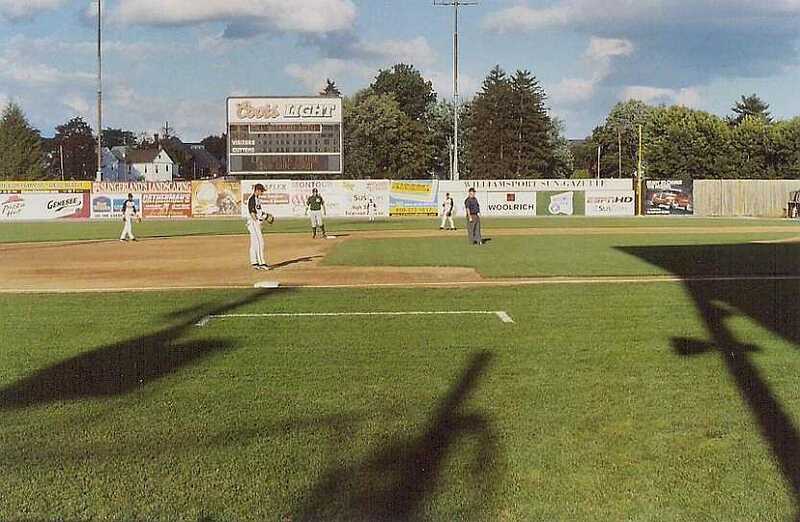 The outfield backdrop is a residential area.